What could be more fitting than casting a pirate with a mermaid? 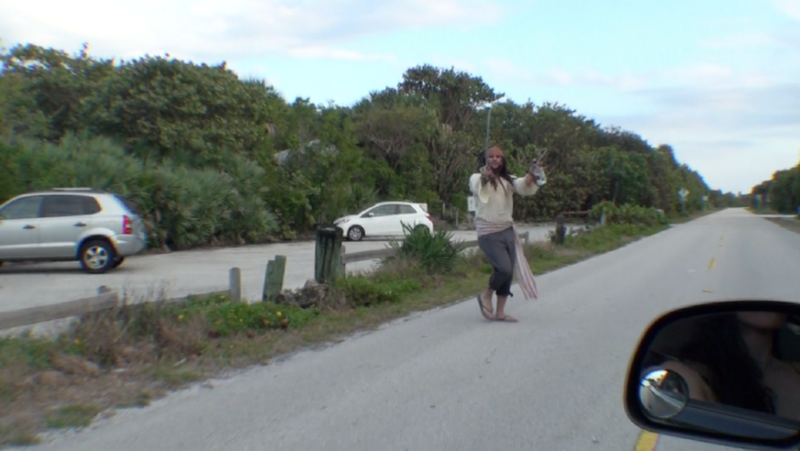 How about, Captain Jack Sparrow! With the skills to act the role, look the part, and most of all speak and sound just like Jack from the movie, Pirates of the Caribbean! After the filming of POTC – Stranger Tides, we focused our performances to also bring to life a great man of the sea who can walk among the land lovers. 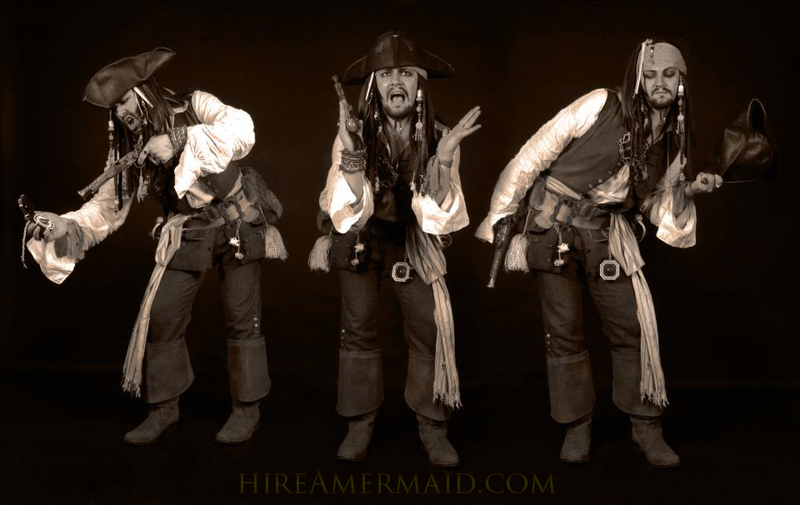 Our specialty Jack impersonator is best known for pre-show introductions, when he will tell you stories of the dangers of mermaid waters, pose for pictures, and be a bit cheeky at times. Guest expressions say it all, and most are taken back by the detail of costume and mannerisms. 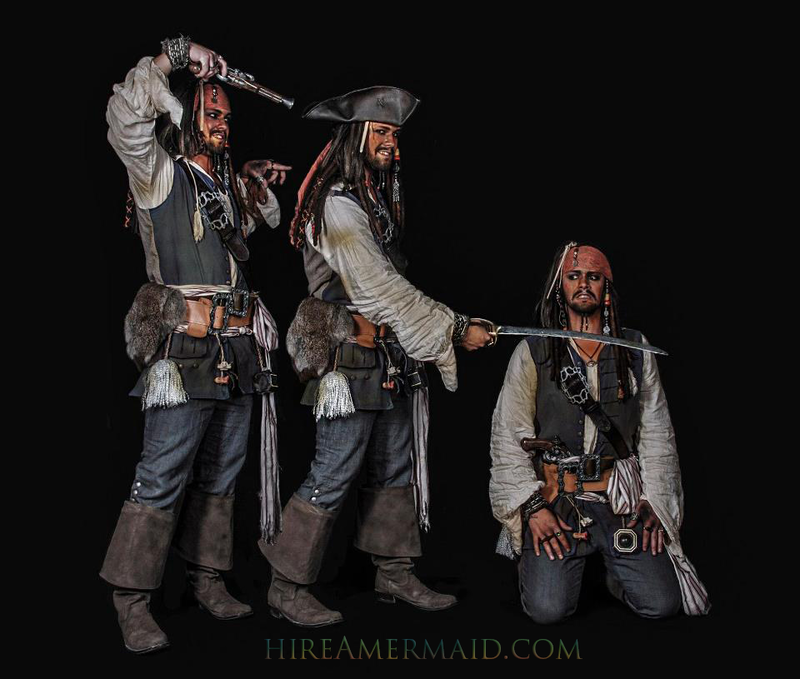 Our Pirate takes it one step further and is one of the best Jack Sparrow entertainers for hire -true to his character role and realistic right down to the hair! The live guest comments are often asking if he is really Johnny Depp’s twin, or stunt double from the film. 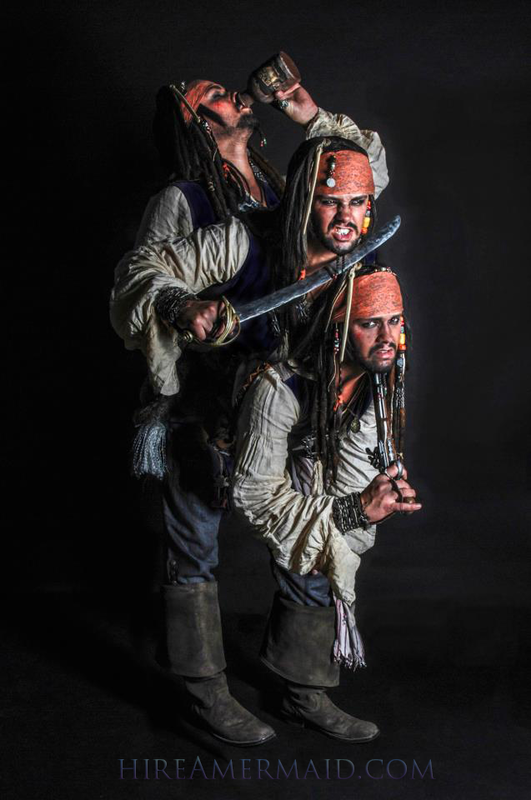 It’s as if we cloned Jack Sparrow himself and placed him at your event for the highest level of character entertainment that will leave them talking about meeting a pirate for years to come!